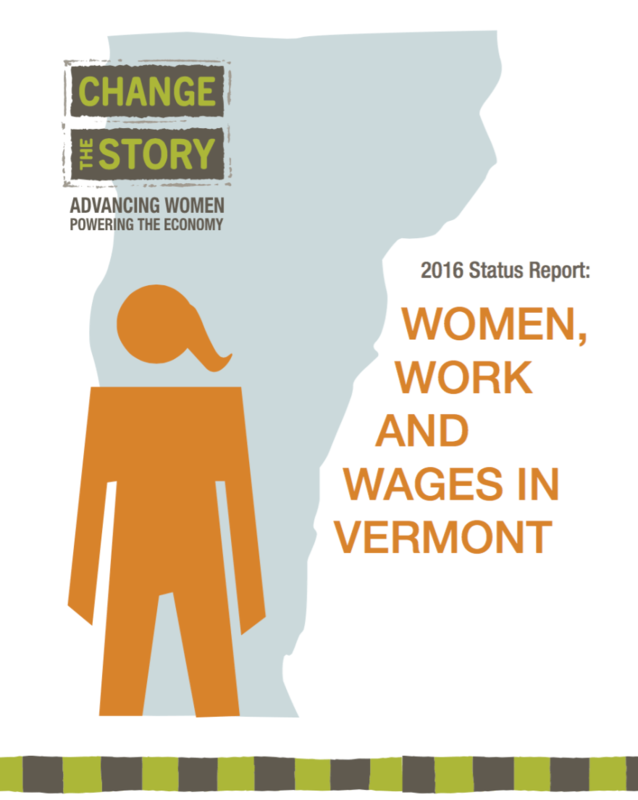 This brief is published by Change The Story VT (CTS), a multi-year strategy to align philanthropy, policy, and program to significantly improve women’s economic status in Vermont. CTS is fueled by three statewide organizations focused on women’s economic well-being: the Vermont Women’s Fund, Vermont Commission on Women, and Vermont Works for Women. This is the first in a series of briefs we will publish on topics related to women’s economic well-being. Much of the data in the briefs is either new, or not regularly collected or published. All of the data is specific to Vermont, and all is critical – not just in what it reflects about women, but in its implications for the entire Vermont economy. Women are significantly more likely than men to live in poverty or economic insecurity – in large part because they have primary responsibility for the care of minor children. 43% of VT women who work full-time do not make enough to cover basic living expenses as defined by VT’s Joint Fiscal Office. The poverty rate for families headed by single women is 37.5% – nine times the poverty rate of married couples. Women who work full-time are disproportionately employed in low-wage jobs – in every age group, at every level of education. VT women are especially vulnerable in their senior years, when their median annual income from Social Security ($10,000) is half that of men ($20,000). The data in this report was collected and analyzed by Flint Springs Associates, a Vermont-based consulting firm; principal researchers were Joy Livingston and Vicki Hart. Download the full report. Download the companion slide deck.